Craig sent me this odd sign from a hair salon. 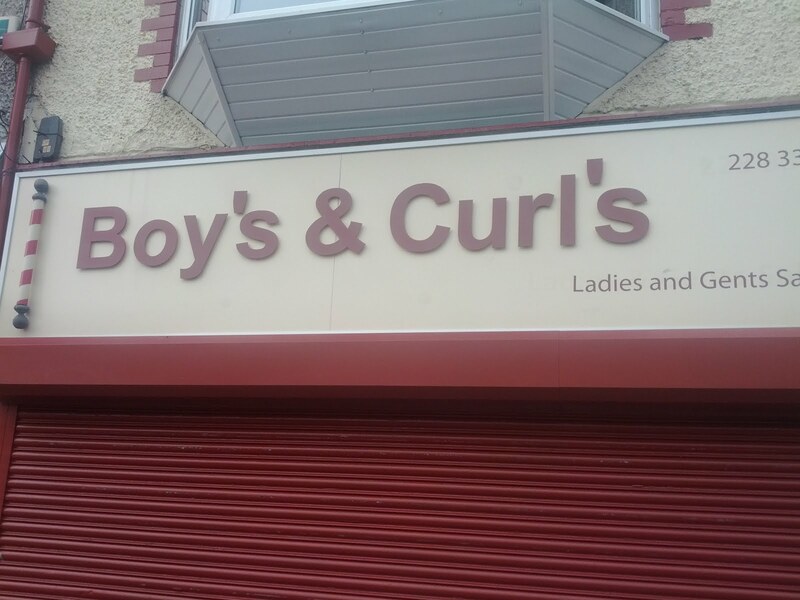 I assume that this is a double apostrophe catastrophe that is meant to say "Boys and Curls," but that name, even if grammatically correct, still makes me cringe. Keeping Up with the Jones' What? I've been very busy this summer chillaxing on the beach, so I've been neglecting Apostrophe Catastrophes. I apologize, dear readers! Luckily, I found an apostrophe catastrophe in the Glamour I was reading on a Nantucket beach. My brain might be mush right now from the excessive eating, drinking, and sunbathing, but shouldn't this just be "keeping up with the Joneses?" The Caymen Islands may specialize in banking, but apparently the proofreading there is lacking. I didn't try the smoothie's [sic], but the beach was gorgeous, and I want to go back immediately. How About Supporting Your Local English Teacher Instead? An anonymous reader sent me this classic photo that she took in Vermont in 2005. The rider with the catastrophic t-shirt appears to be from New Hampshire, of course. Its state slogan certainly isn't "Punctuate Well or Die!" Thanks to the person who sent in this catastrophe! I hope Mandy didn't risk her life trying to capture this apostrophe catastrophe while driving, but it is a pretty funny one. 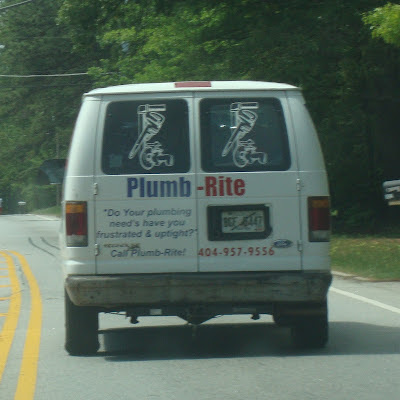 Besides the apostrophe catastrophe, this slogan has some capitalization errors, and it's a bit strange to refer to how people's plumbing needs cause them to be "uptight." What would Freud have to say about this?